Couture Wedding: "One Love, Two Rings, Endless Memories"
EVER THOUGHT ABOUT WHAT GOES INTO MAKING A RING? AT LARSEN JEWELLERY YOU AND YOUR BELOVED CAN DESIGN AND MAKE YOUR WEDDING RINGS AS A COUPLE. A marriage is a unique and special bond created between two people and your wedding bands should reflect that unique love. 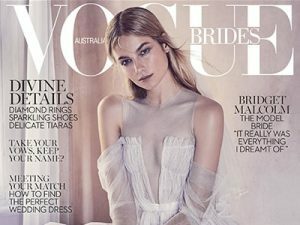 For the first time in Australia, couples set to marry are now able to share the romantic experience of making each other’s wedding bands. 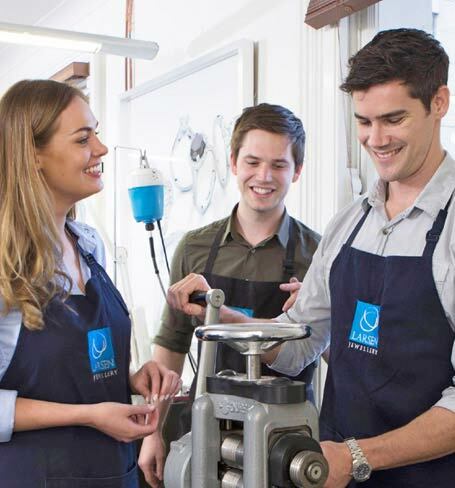 Larsen Jewellery lets couples get ‘hands-on’ in the making of their wedding bands at a stylish workshop in The Strand Arcade in Sydney’s CBD and in Melbourne’s iconic GPO building. 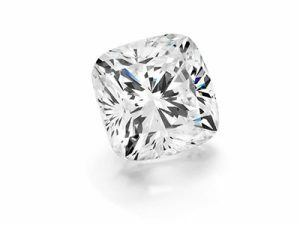 The entire process is surprisingly easy and with the close guidance of an experienced jeweller anyone can do it. 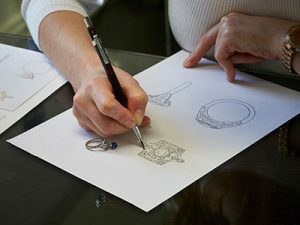 It takes about four hours to go from design stage to having two beautifully crafted rings and the whole experience is fun, personal and unique. Where else can you hand make your partner’s wedding ring with your own love and affection. The experience is memorable and enjoyable without compromising on the quality and look of the rings. You can design the rings in different shapes using white, yellow or rose gold, platinum or a combination of metals. You can even bring along your own heirloom jewellery to be melted down and incorporated into your new ring. If you would like to add precious stones or have your rings engraved then you can leave them behind and one of their expert jewellers will complete this for you. They can also be fitted perfectly to your engagement ring. Once you’ve decided on a design for the rings (or chosen one of the many popular designs on display), that’s when the fun really begins. Together you melt your chosen metal, and then mill and shape the rings. Then it’s time to file, buff and polish the rings until they shine. For anyone concerned about how the rings might turn out – don’t be. Everything is prepared under the close supervision of an expert jeweller and nothing is done that could risk the final look or quality of the rings. And you can be involved as much or little as you like, you call the shots. If you decide to watch the jeweller in action, that’s perfectly fine too. The result is two perfectly beautiful wedding bands that have been made by you. The finished rings are guaranteed to be of the highest standard and because your rings are handcrafted using traditional techniques with the highest quality metal alloys, the rings and memories of your experience will last a lifetime. Photographs can also be arranged as a memento and champagne and nibbles are served to celebrate. Click here to read more about how to make each other’s unique wedding rings.